Have you ever noticed that some books in your classroom library never get touched? Even if they are awesome books? Ever wondered why the students keep picking the same books over and over? I am going to tell you a secret that will have your students reading the books you want them to read. Years ago a teacher trainer was brought in for professional development. I can't tell you her name or most of the content that she taught us, but one concept stuck with me. 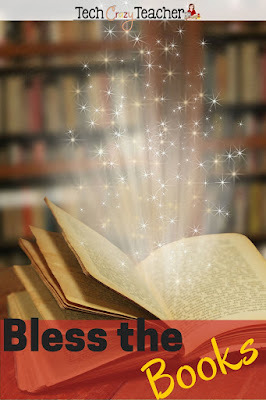 A concept called "Bless the Book" has remained with me. I don't even know if the trainer noticed this turn of phrase or if she has used the "Bless the Book" phrasing since that day. But I have used it and integrated it into my classroom practices. I know you have experienced Blessing the Book in your classroom. have you ever read a book and then had students want to read that same book again? Ever read one book in a series aloud and then the students wanted to hear another? Or maybe have students go to the library and come back with identical books? All of these are examples of books that have been "blessed". Students have been motivated to read these books because the books have been blessed by you, the teacher, or by another student. 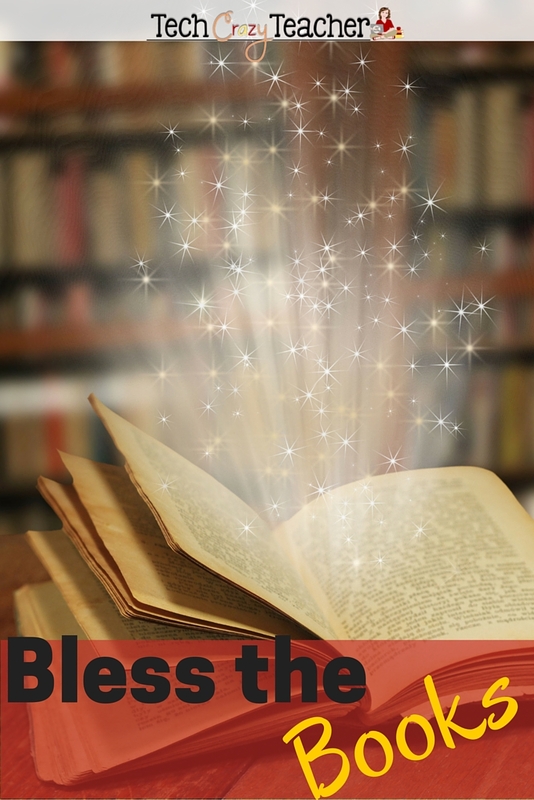 What is Bless the Book all about? 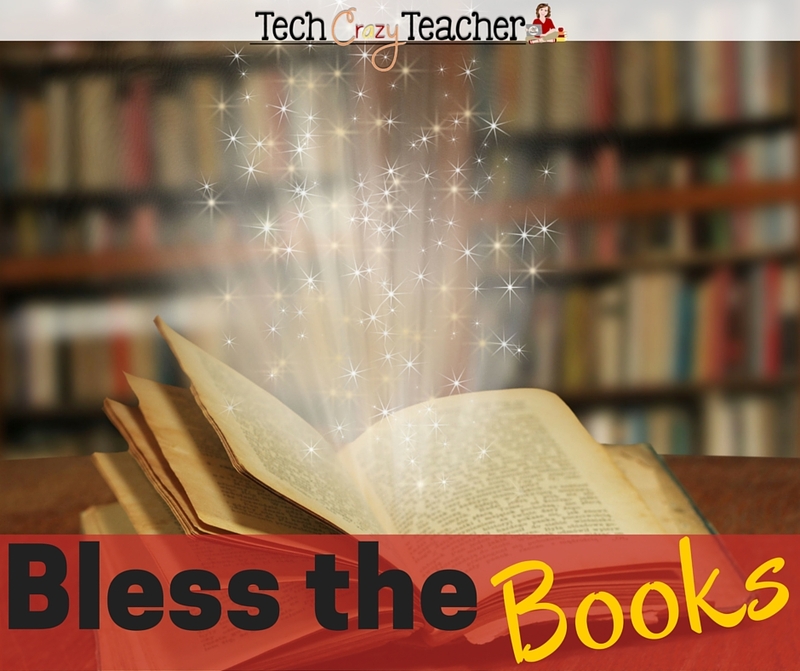 Bless the Book simply involves a teacher giving his/her "blessing" for a particular book. This "blessing" then motivates students to read the book. To bless a book means to speak well of it, to show favor upon it, and to praise it. You are actually endowing the book - giving it as a gift- to your students for them to enjoy. What are some ways to actually bless books? Read a portion of the book aloud- a chapter, a paragraph, a phrase, some dialogue. Discuss the jacket cover of a book. Read a summary of a book. Read the back cover of a book to your students. Read just the title aloud and wonder (aloud) what the book is about. Reference a particular book in a discussion you have with your students. Look at just the pictures in a book. During silent reading time, read the book yourself (model). When covering topics, wonder aloud about what kind of books have been written on the subject, how many, and what point of view. Have students review and recommend books aloud. Have students review and recommend books in writing. Pick up the book, simply say you have read it, and that you like it! I have found that is not enough to just display a book. You have to do something more. You have to really draw the students' attention to the book and get them to focus on it for that moment in time to spark their interest. We, as teachers, cannot underestimate the powerful positions we hold as readers in our rocking chairs on our classroom carpets. BLESS THE BOOKS! Need tips on teaching reading? Check out my Crazy about Reading Pinterest Board!